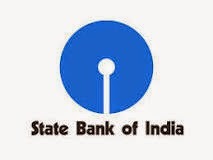 State Bank of India (SBI), Central Recruitment and Promotional Department invites online applications for recruitment of 7664 Clerical Cadre in its Associate Banks. Interested and eligible Candidates can apply by filling online application form up to 09-12-2014. • Education – Graduate in any discipline from a recognized University. • Age – 20 to 28 years as on 01-12-2014. Age relaxation will be applicable as per Govt Norms. Interested Candidates can apply online by visiting SBI website from 20-11-2014 onwards till 09-12-2014. Candidates should visit Careers section to see the advertisement. Online Mode : Online payment can be done anytime till 09-11-2014 using Net Banking, Credit,Debit Cards. Offline Mode : Payment done through offline mode requires taking out print of generated challan and to submit payment details in the application form. Last date for offline payment is 11-12-2014. Candidates will be called for interview on the basic of marks scored in Written Test. Final Merit list will be displayed based on marks from both the exams.